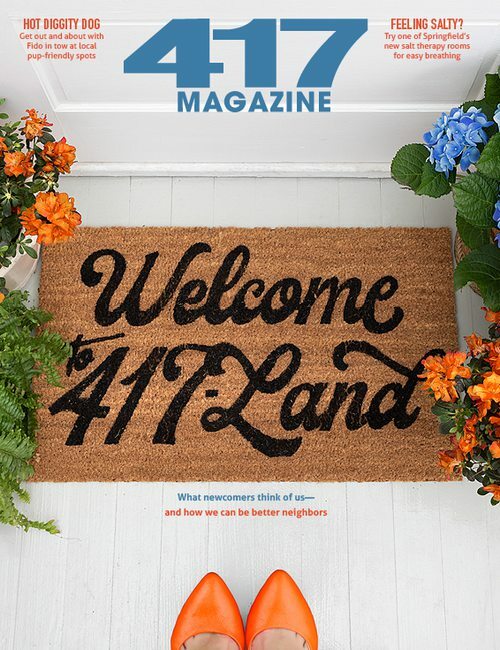 417 Magazine 417 Magazine Issues July 2016 417-Land Pets! We know how it is. You have your friends, and you have your kids—and you have your pets, which qualify as both. They are your companions at home and when you go adventuring. They snuggle up with you on the sofa on movie night, and they sit by your feet in hopes of that one little “accidentally” dropped scrap of your steak dinner. They greet you with enthusiasm when you come home from work and are your biggest comfort when you’ve had a bad day. This month’s cover story celebrates your pets and all of the local resources and activities that are available to make their lives (and your life too) awesome. When tiny terriers become tiny terrors, Jim Dorris steps in to train pups and their parents. Browsing Rescue One’s adoption gallery, I was looking for cute, but Jim Dorris, owner of K-9 Concepts of Southwest Missouri, says I should have looked for large. “For people that have small children, get the biggest dog you can possibly afford because kids have a tendency to pull ears and tails, and small dogs have a tendency to bite,” he says. But I hadn’t met Jim yet. So I went for cute. That’s how Lucy, an 18-month-old black-and-white Jack Russell mix, came into our lives. I quickly learned Jack Russells are known for being the highest energy pups on the planet. Even after running alongside us on bike rides, she had enough energy to chew anything my kids left out, which was a lot. I was beginning to regret meeting my daughter’s “emotional need.” Thankfully, that’s when I met Jim. After a free consultation, it was obvious this guy doesn’t just train dogs. He loves them. With a sweet yet commanding voice, Jim took charge and had Lucy walking obediently next to him instead of pulling at her leash (my biggest pet peeve). We began weekly lessons, usually at our home but sometimes at parks or stores for socialization practice. He tailored lessons according to our needs. “Every family is different, and every dog is different,” he says. I quickly learned he wasn’t just there to train Lucy. “It’s all about teaching people—getting them to be consistent, communicating with the dog properly so behavior that is unacceptable stops,” he says. There literally wasn’t a problem Jim couldn’t solve. Getting into trash, chewing, barking, jumping, even crowding the front door when company arrived. Lucy no longer does any of it. She will sit, heel, lie down and stay on command. “To see her go from where she was to where she is now is pretty much amazing,” Jim says. Jim’s had a big influence on our family. My daughter has even decided to be a dog trainer. She’s currently teaching Lucy—and her little sister—how to bark. 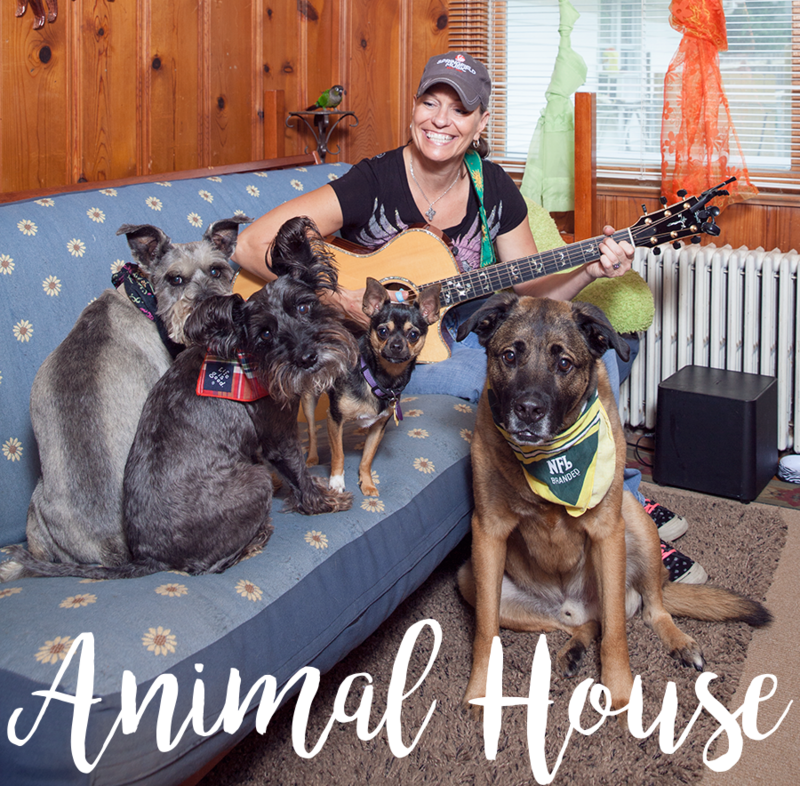 Personal trainer and animal lover Jennifer Reisch shares what life is like with four lively dogs and one slightly sassy bird, the bunch that lives with her in her Phelps Grove home. I have four dogs and a bird. The largest dog is Hank, who is 70 pounds. Hank is a mixture of Malinois shepherd, boxer and lab. Then we have Tony, who is a miniature schnauzer. He is 10 and weighs about 26 pounds. Then there’s Alfred. Alfred weighs probably 24 pounds, and they call him a Snorkie, which is a schnauzer mixed with a Yorkie. Then of course we have Wilma, rocking the 7 pounds at 8 and a half months old. She’s a Chihuahua. Tony is the deceitful one, and Hank is the one who, no matter what, will not enter the training area or the kitchen until he is released. I am a personal trainer and I train in my home, so basically my whole house is a gym except my bedroom, my office, the bathroom and the kitchen. Hank won’t go anywhere unless he’s told he can. But at night when I’m by myself, Hank is also the one who never leaves my side. Alfred has been my little best friend since I brought him home. I found him after my mom had a stroke. And Wilma is just always happy. My bird is Charlie, and she’s a green-cheeked conure. I’ve had her three years. She’s funny. She yells “Come here” at the dogs, and one of my clients taught her to call me the B word. When I’m teaching my clients how to breathe, she’ll also go “Shhh.” She breathes with them. Having four dogs is awesome. They’re a pack. They have their dynamic. Little Wilma is the alpha. If you walk down and see the big dog bed, it’s supposed to be Hank’s, but it’s hers. There will be rawhides on it, and if they look at her when she’s chewing on one, she growls. But then again, they protect her. So, if she goes off the bed at night to go out the dog door and go outside, Hank goes with her. He’s her protector. And she cleans their ears out. So you’ll hear this low moan, and you’ll know she’s cleaning Hank’s or Tony’s or Alfred’s ears. If I could have more dogs, I would. I’ve always been able to bond with dogs very well. Really, animals in general. I just have this thing with animals. I’ve always had this weird ability. People always say to me, “You have the best dogs,” but I think it’s because I know how to talk to them. You never really know who to trust, but your dogs are there no matter what you do. They love you no matter what. I’m a single woman living alone, and even though I’m an accomplished concealed carry and a markswoman with guns, it’s still nice to know that I would probably never need to use them because of the protective nature of my dogs. They’re my protectors. But also, they’re my source of joy. I’ve never understood people who say “I don’t like dogs.” I can’t understand it. That’s one thing I’ll never wrap my brain around before I die. My whole philosophy in life is about giving back to others. It’s about unconditional love, and that’s what I live by. My life motto is that we are not here for ourselves, and I’ve always thought that God gave us dogs to teach us how we’re supposed to be. It took about a year for Chris Killingsworth to train Brisk to patiently resist the temptation to eat whatever’s balanced on his head. Say hello to Brisk, 417-land’s most well-traveled, well-groomed and well-cultured animal who lives a life filled with a little work, a little food and a whole lot of fun (evident from the photos on his very own blog). Meet Brisk. Brisk is a golden retriever who has already done countless things many dogs never dream of, and he’s just over 2 years old. Brisk has driven a boat and mowed the lawn. He’s played Santa Claus and floated down the river—in his own kayak, might we add. Brisk has even managed to balance donuts on his head and bacon on his nose, all without gobbling them up in seconds like a typical dog would. Brisk’s lifestyle is fun and fancy-free, sharing coffee and conversation one day and hiking in Arkansas’s Boston Mountains the next. Brisk flexes his writing chops to share all of his experiences on his very own blog, chriskillingsworthphotography.com/brisk-wrote-this. Yes, Brisk is part dog. But he’s also part genius. Brisk belongs to Chris Killingsworth, a photographer who got him when he was just a little puppy. “I started working with him when he was little, doing things like making him wait to eat food,” Killingsworth says. And it didn’t take him long to learn that Brisk was special, and he could have some fun with posing him for photos. Find even more photos of Brisk and his many adventures on his blog or on Killingsworth’s Instagram @cnkillingsworth. Want to follow more local pets on social media? Here are a list of six more furry friends to follow! Norman is a goofy, fun-loving beagle who loves cracking jokes and mixing some dog slang in everyday conversation. The owners of Sequiota Bike Shop have a couple of dogs, and they update the restaurant’s information on their very own Facebook page! Friend Hoppy Malty to keep the latest scoop on one of Springfield’s favorite sandwich shops. Trisha Rose Cryderman is a retired seeing-eye guide dog and the official Harem & Company greeter and occasional model. You’ll never meet a pooch with more style! Pierre LeChat is one fancy feline who speaks mostly English but also busts out a little French on occasion. Add him and enjoy many adorable photos. Monty Cristo is a native Springfield cat who works as an interior designer, according to his Facebook profile. He really enjoys sharing stories about cats and, of course, posting plenty of photos of himself (including selfies!). Fairly new to this world, Mr. Cooper says “My English is a little rough, and my manners are a tad sloppy.” But he is an active pup who takes lots of pics on his many outdoor adventures, which range from hiking, exploring rivers and even occasional trips to a farm. Pet Therapy of the Ozarks organizes pet visits with local hospitals, helping patients cope in ways that no human can. This was one of hundreds of patients that Amber helped. Amber first became a therapy dog with Pet Therapy of the Ozarks (417-848-7387) in September 2005. “I watched a local news story about therapy pets visiting hospitals, and I knew that Amber would be a perfect fit,” Noe says. “She naturally had a sweet disposition and was very good with people.” Next Noe got Amber certified to make those special visits. Nelson Knapp, board member of Pet Therapy of the Ozarks, says the process of becoming a therapy pet with the organization is pretty straightforward. “First, the dog has to have earned an AKC Canine Good Citizenship certificate, and the owner has to fill out an application,” he says. “We then have a workshop and evaluation. Once the team passes the evaluation, we schedule two supervised visits to make sure they’re comfortable.” Then once this is all completed, the pets and their handlers are scheduled to make visits on their own. Learn how your pet can become a therapy pet, how to volunteer with the organization and more online at pettherapyozarks.org. 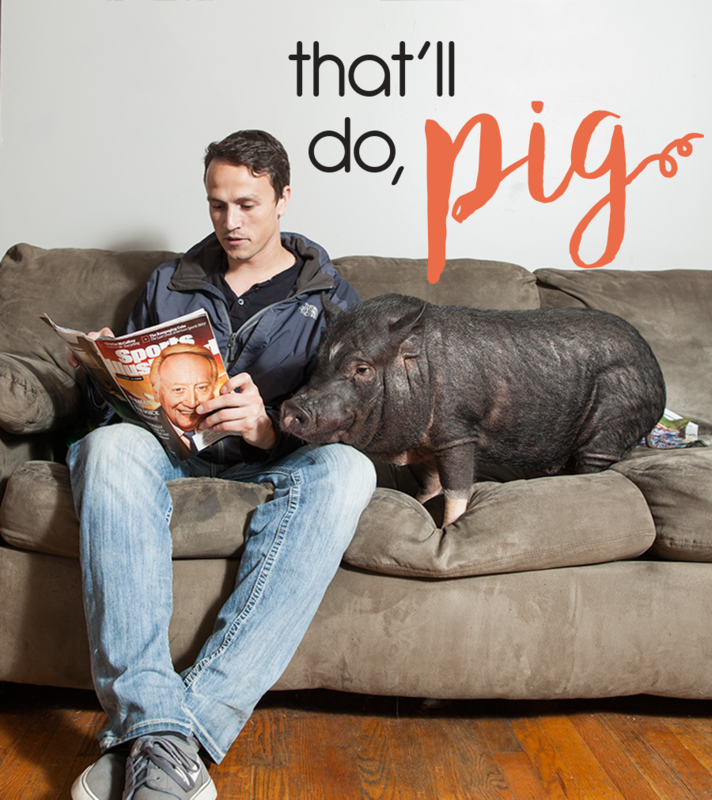 Alex Vitro shares what it’s like living with a 70-pound sidekick: his pet pig, Hamlet. I got Hamlet two Februarys ago. He just celebrated his second birthday. I decided to get him because I thought he’d make me look better. No. Really I had just always heard that pigs are really smart animals, and I wanted to test it out. It turns out they’re right. I haven’t had much trouble training him to do the basic stuff that a dog would do. I thought I was getting a cute little teacup pig. I thought I was gonna get a cute little pig, and I was going to train him to do tricks, and we were going to be YouTube sensations. But later, I found out through a vet that pigs don’t ever really stop growing, so they really just get fatter and stinkier as they age. Hamlet’s not that stinky or fat for a pig, but I just like saying it. His nicknames are Hambonio Banderas, Hamuel L. Jackson and Stinky. Sometimes I’ll call him Hamela Anderson, too, but he doesn’t like that one. He lives inside. He potty trained himself, pretty much. It didn’t take much for him to know to go outside to go to the bathroom. Someone told me that pigs are actually really clean animals. He’ll knock cushions off the couch and stuff, but that’s pretty much all he’ll destroy. I usually come home and watch Cardinals games. I don’t know that he really watches them with me, but he likes crawling up and getting between me and the couch and pushing me off the couch, pretty much. I taught him how to sit and how to sit up, and he does that pretty well. But that’s pretty much all he’ll do besides tear off the couch cushions. I tried getting him to wear a hat once, and he didn’t like it. I tried to make him be Bat Pig for Halloween, and he didn’t like the cape. I saw a video of a pig swimming in the ocean, so I took him to the lake, but he hated it. He’s big, so I kind of had to lurch him up and dump him in shallow end. But only his toes went in, then he squealed and ran off. I usually let him sleep with me. My rebuttal to that, if anyone thinks that’s weird, is that George Clooney had a pet pig named Max. I saw him, and he was huge and ugly just like Hamlet, and he let him sleep with him all the time. I usually have to defend myself with that. Hamlet doesn’t really like anyone except for me. He is a really good pet. But he usually just keeps to himself. I’ll take him out with dogs, and he doesn’t mind, but he’ll just keep toward me and eat grass, unless they really mess with him, then he’ll get mad. But he’s a pretty shy pig. And that’s pretty much the life of Hamlet. Did Hamlet make you want a pig pal of your own? Charming Mini Pigs breeds pet piggies right in 417-land. The Humane Society of Southwest Missouri became a no-kill shelter earlier this year. Learn all about how this local nonprofit agency is helping furry friends. Step inside the Humane Society of Southwest Missouri (3161 W. Norton Rd., Springfield, 417-833-2526), and you’ll spot people strolling around looking at the many cats and dogs who are there waiting for a new home. You’ll see pups running outside in large, open kennels, and you’ll crack a smile after a glimpse of the portly felines sprawled out by the window in what’s known as the “fat cat room.” And you’ll definitely see dozens of cuddly four-legged friends staring back at you as you walk down hallway after hallway that’s filled with hundreds more adoptable cats and dogs. Recently, all of these animals (and the many more that will come through the doors in the future) were given a new hope. The Humane Society of Southwest Missouri has been operating as a no-kill shelter since this past February. “When the board approached me about coming to work here, one of the things we talked about was what they wanted for the future of the organization,” says Donna Casamento, the organization’s executive director. “For some time now they’ve wanted to move to a no-kill model, and I’ve been involved in doing that for other communities.” That dream is now a reality, and several new programs have been put into place to help it happen. This is obviously happy news for everyone involved in The Humane Society, which can house as many as 400 animals at a time and adopts out an average of around 75 pets per week. But even though such a great thing has happened, there is still a need for more help with the organization, which is a private, independent, non-profit organization and not affiliated with The Humane Society of the United States or any other national organization or local government. 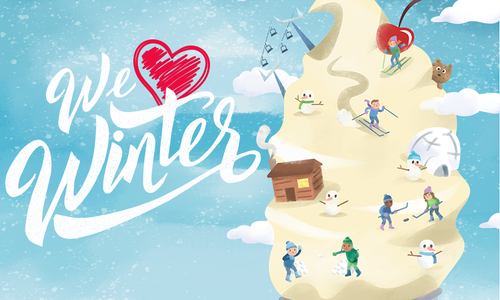 Find information on volunteering, donating money or resources or even acting as a foster family online at swh.org. 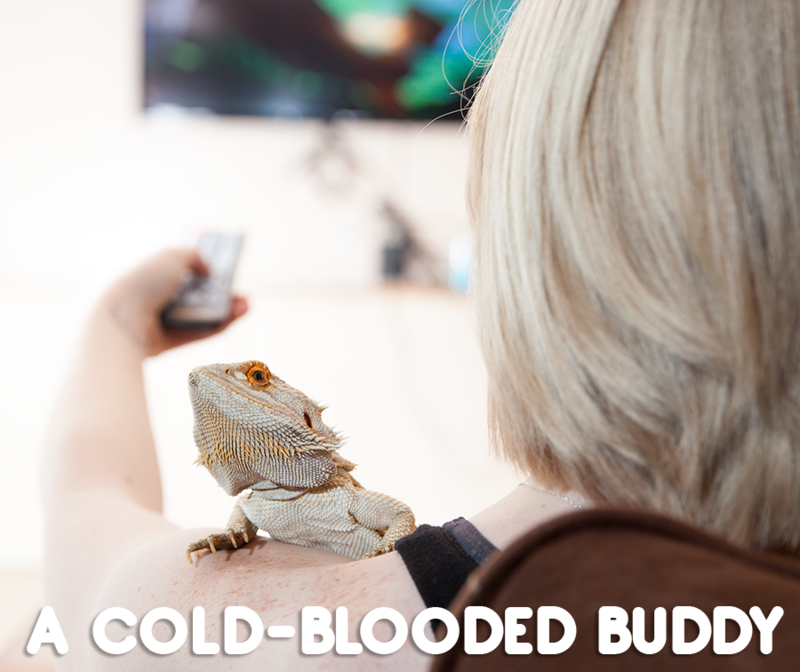 A student at OTC and employee at Petsway, Anna Fisher evenly divides her free time among her many animals, including her bearded dragon, Felix. I work at Petsway. I actually have 10 animals: two dogs, a cat, a bearded dragon, a uromastyx, a tortoise, two western hognose snakes, a Quaker parrot and a crested gecko. My bearded dragon’s name is Felix. I’ve had him for three years. After I got Felix, I started getting into animals. I got him when he was a baby. I went to a reptile expo in Springfield. That’s when I decided to get a bearded dragon. It’s kind of nice to own them because they’re more independent than dogs or cats. You don’t necessarily have to tend to them every single day, but they do like attention just as much. When Felix wants to come out of his cage, he starts scratching at the glass and taps his head on it. I’ll get him out, and he’ll sit on my shoulder as I’m doing my homework. He really likes baths. I’ll fill up the bathtub with two or three inches of water, and he’ll swim around in it. He really enjoys that. And of course, he likes eating. Strawberries are his favorite treat. It’s kind of cute—they’ll turn his mouth red. I’ll normally feed him crickets and greens, like kale and collard greens, but he usually gets a treat about once a week. 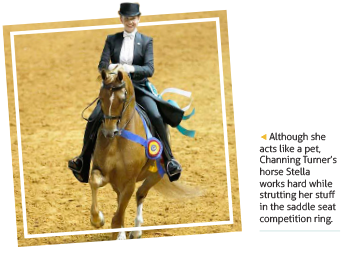 At age 13, Channing Turner is already the winner of four National Championship titles and two Reserve National Champion titles—and she earned them all with her two pet horses. I have two horses, Stella and Aria. Stella is a half Arabian, and Aria is a pure-bred Arabian. I’ve had Aria for four years, and I’ve had Stella for a little bit over a year. It all started at my fifth birthday party. I had a pony party out at Libby Ferguson Training Center. 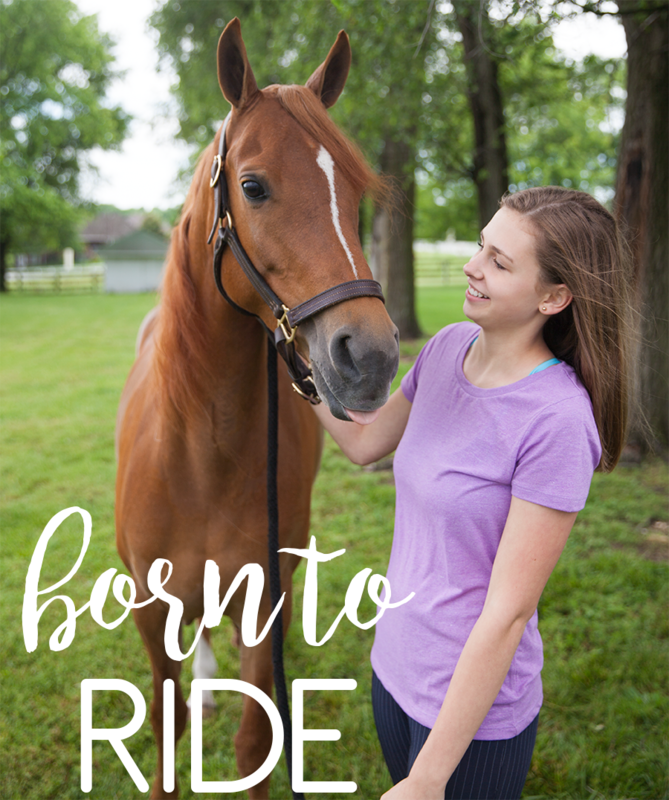 I fell in love with all of the horses and animals out there, and I’ve been riding there ever since. I ride competitively. I started showing when I was 8. I compete in saddle seat. You go in the arena, and you have to show your horse off in front of multiple judges. When I’m out there, I have to make sure the horse is cooperating. We have to be on the right diagonal and pick up the correct lead. If your horse isn’t cooperating, it’s up to you to fix it. I usually get pretty nervous before showing the horses, and I get more nervous before showing Stella because she’s still pretty new. But once I go in the ring, I forget my nervousness. Then I really have to think about everything that’s going on around me and the other horses in the arena with me. I have to think about where my trainers are on the rail, so they can help me as I go by. My nervousness goes away, and it just becomes really fun and exciting. My horses stay out at Libby Ferguson Training Center. During the school year, I go out, and I ride three times a week. I usually ride Aria once, and I ride Stella twice for a lesson. I go out with one of my trainers, and we work on what’s expected in the show ring. Then, during the summer, which is when our show season is, I usually go out five to six times a week. Stella and I, we really just connected from the first time I rode her. It was an instant connection. She’s so friendly and outgoing, and she’s typically in a good mood. She’s very social. She likes to be the center of attention. I’ve had a little bit harder time connecting with Aria I think, because she doesn’t like being around people quite as much. She’d often be happier if she were alone. But she does love to get out in the show ring and do her job. But Aria is really consistent and reliable to go into the show ring and have a good ride on. So if I have a tougher ride on Stella, I know that I have Aria to go back to and have a good ride on. I know Stella knows who I am. She’s kind of in the middle of the barn, so if I’m talking to someone, when I turn the corner she has her head up and her ears forward and she’s looking at me. There are bars on her stall, and she rubs her teeth up them and it makes a ringing noise. If I have my back turned away from her, she’ll do it really loudly to get my attention. Aria is farther down, so I don’t really see her when I first walk in. When I go past Aria, she’ll kind of just look at me and not really look super-excited like Stella does. I get them out of their stall before I ride, brush them, put on the saddle and bridle and put on leg wraps. After the ride, I’ll take the tack off and brush them. Aria doesn’t act overly friendly, but after I ride her she’ll follow me around. I don’t have to hold onto her or anything. She’ll follow me back to the cross ties. At U.S. Nationals in 2014—which is when we got Stella—before we bought her, we went, and I got to ride her. After I rode her, I hopped off, and we stayed in the arena, and we got to love on her. My grandma was holding a glass of wine, and Stella walked right over and stuck her nose into my grandmother’s glass of wine. My grandma pulled away, and we were all laughing. 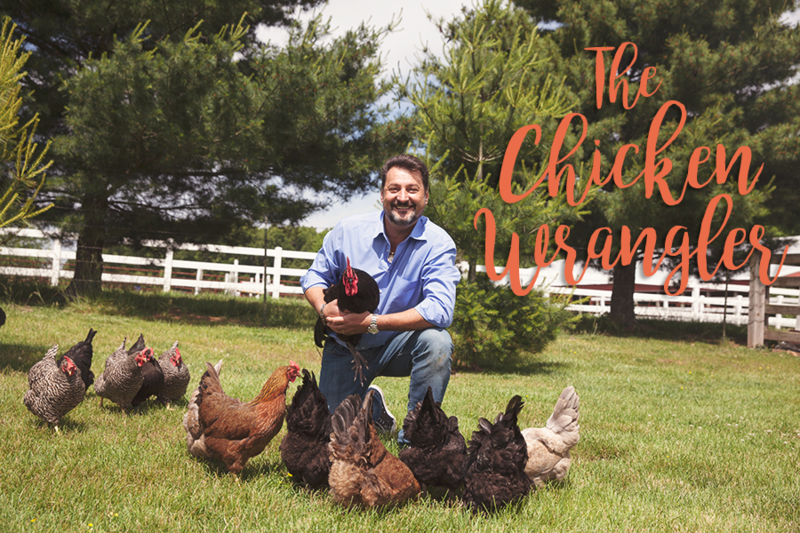 Nicola Gilardi of Nicola’s Ristorante adores his 22 chickens that he trained to scurry to his side with one simple call. The reason I got the chickens is because I grew up in a family where we had our own chickens, and we had our own pigs. I thought it was a good experience for my kids to see chickens around. I just love the idea to have chickens, to have my kids close with them. I think that my kids will appreciate more what a chicken is when they eat it now, that it’s not just a piece of meat. You know what I mean? I got 22 chickens and a rooster. I really love the idea of eating good eggs. I need to apply with the health department to be able to use the eggs at the restaurant. They’re really free-range chickens. The only time they’re inside is at night. Let me tell you, they’re so smart. In the morning, my rooster, he starts to sing around 5:30, and until I let him out, he doesn’t quit calling. They all come out. They start to eat. They drink. They go do their eggs. I’m picking up the eggs every day because I don’t want to have any hatched eggs. My rooster really does a good job, you know? And then at night, they all go inside. They’re amazing. They can be on the other side of the fence in my neighbor’s yard, and let me tell you, 5:30, bang, they are going back home. They’re funny, too, when they run and when they move around. They’re just hysterical. It’s funny because my family in Italy, we used to have names for our chickens, but I didn’t give these a name because there are 22. I can barely remember my own name. If you give names to your chickens and then decide to eat them, then it’s kind of tough. I don’t think I’m interested in eating them. If I know somebody who wants them when they’re old I will give them to them, and they can eat them. The majority I got when they were little bitty babies—four weeks old or less. Most were little bitty chicks. What I did is, I kept them in my garage. I got heating lamps—you keep them in there until they’re bigger. I got them when it was still wintertime. By the time spring came, they were big enough to be out. I took them and put them in this little house. I kept them there two weeks so they knew where their house was. I gave them food and water for two weeks, and then what I did was, I took a big net and put it out where their house was, so they still knew where the house was but they could be free range. Then after a week I took the net off, opened the door and let them go. Then they go, and they go back. For the eggs, I took a couple of crates and put a little bit of hay, and they just know what to do. Right now I get about 20 or 22 eggs a day. I just love my chickens. It’s just fun to see them around. If not, it would be, like, so boring. Tomaso loves the chickens, and I have some friends who just come to see the chickens. They just love them. I mean, of course you have to train them in the beginning. But they’re easy to train. Matter of fact, I have a lot of customers of mine who know about my chickens. They saw my video on Facebook. I tell them, I say, you know what, just get a few chickens. It’s just beautiful. It’s beautiful for the kids to see it. Let me tell you, I just love my chickens. 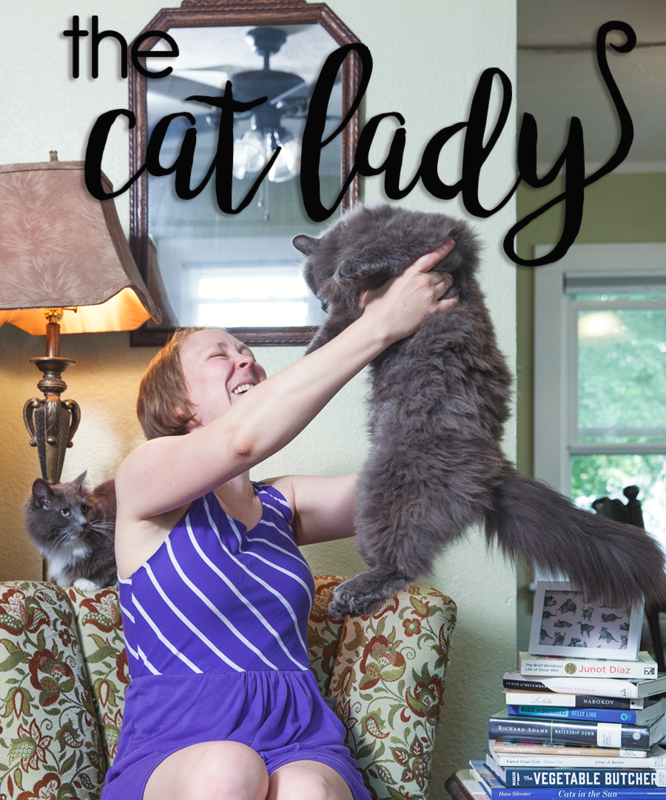 Ingrid Bohnenkamp dishes on life with her cats: the smart one, the pretty one and the one who’s just a little bit off. You can pretty much talk to any librarian universally, and they all have cats. As a librarian it’s pretty much obligatory. I have three: Poppy, Claude Rains and Figaro. Two years ago, a friend of mine found Poppy, who’s the mother. She was very, very pregnant and a stray. My friend couldn’t take another cat, and she knew that I was a pushover when it comes to animals, so she showed me a photo. I adopted Poppy, and two days later she had five kittens on my office floor. Claude and Figaro are Poppy’s kids. When Claude was a really little kitten, she had hair that looked like Claude Rains out of The Wolf Man. She really looked like him! I’m not just being a cat owner, she did. So that’s how she got her name. I was going to just keep her, but she also kind of had a weird look to her face. So I thought, just in case she’s a crazy cat, I’ll keep another one, too. That’s Figaro. I found homes for all of the other kittens. Figaro is the only boy. He is an explorer. He was the first one out of the bed when he was a little kitten, and he’s always been really curious. He’s also pretty much the only smart one. He knows how to open the door, and the screens to the window. If I leave him inside the house, he’ll be gone by the time I get back. Poppy is just really, really sweet. She’s a little bit shy, and she’s very luxurious. She has long fur and knows she’s pretty. She’s one of those types. Claude Rains is hard not to love. I think she’s a little bit off. She’s always doing really funny, clumsy things. I’ll be walking across the room to sit on the couch, and she’ll jump at the same time and faceplant on my leg. She gets stuck between the screen and the window. She’s always getting stuck. She gets stuck behind the piano sometimes. I think the reason why librarians go hand in hand with cats and that’s a stereotype is because cats are the perfect reading companions. If I’m reading, there’s nothing more comforting than having three furry, pretty things purring around you. 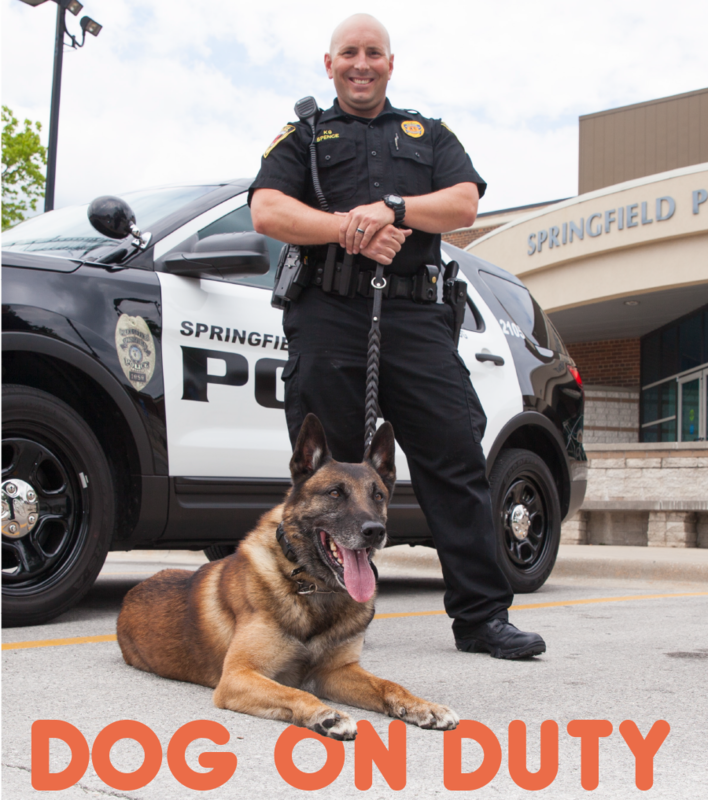 Whether they’re patrolling the streets of Springfield or working on training in their own backyard, Springfield Police Officer Tom Spence and Aries, his partner and a member of the department’s K-9 Unit, are never apart. On a recent sunny Tuesday afternoon, Springfield Police Officer Tom Spence swung by a McDonald’s on his way to work. After ordering a burger and fries, Spence made his way to Chestnut Expressway and prepared for another day in uniform. But instead of fueling up on that meal before he was officially on the clock, Spence broke the burger apart into several pieces, grabbed handfuls of the fries and scattered it all throughout old cars that sit in a lot area by the City of Springfield Service Center. “Aries has been having a problem with wanting to eat people food lately,” Spence says of his dog, a 7-year-old Belgian Malinois who is by his side 24/7. And though scarfing down people food is simply a natural reaction for most dogs, it’s really concerning for Aries, who is one of four dual-pupose K-9s in the Springfield Police Department’s K-9 Unit. “He comes across food all of the time while he’s searching,” Spence says. “We can’t have him eating that food.” Not only is the food old and likely rancid, but it’s also a distraction for one of Aries’s main jobs: hunting for narcotics. Palliative care isn’t just for humans. A local vet offers comfortable end-of-life treatment for 417-land pets. Veterinarian Meda McClure grew up on a farm and heard people talk about sending a horse or cow to greener pastures. She knew what it meant, but the term instilled a sense of peace. This pet cemetery located south of Sequiota Park began as a police dog cemetery but is now open to the public. Call 417-887-1929 for more information on obtaining a plot. McClure says there isn’t much discussion about end-of-life animal care. “We put a lot of emphasis on puppy vaccinations and behavior when we first get a dog,” she says. “We kind of don’t talk about the sad part of it.” McClure provides hospice for dying pets so they can stay comfortable at home. She provides pain medications, fluids and appetite stimulants. And, when a pet passes, McClure transports it to a local crematorium. She even offers keepsakes such as paw prints or hair clippings. The pet’s ashes are returned to its owner. And because the love between humans and pets can be so deep, the process is sometimes difficult. “We work with a company in Springfield and can put them in touch with the right grief counselor,” McClure says. McClure has traveled the state for five years providing pet hospice. She plans to add staff in Arkansas, Oklahoma, Kansas and Illinois. “There’s no one in those states right now,” she says. “The people that call me for this truly, truly care about their animals,” she says. “I am so happy to have helped them out and made their last moments peaceful,” McClure says. 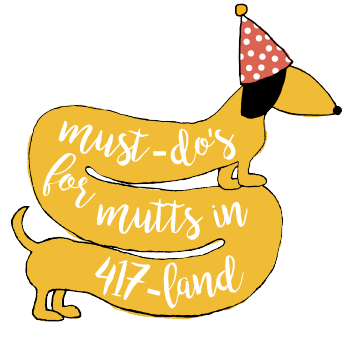 There are plenty of pet-friendly activities and places in 417-land. Let your pet live his life to the fullest, and take advantage of some of our favorites. This annual event is great for pet families. Enjoy a vendor village, tons of hands-on kid activities, a guided dog walk, doggie yoga and even a talent show for kids, pets and adults. All proceeds go to Cruse Dog Park, and the event usually happens in June. With all that space, all those stuffed wild animals and all of the huge fish swimming around, Bass Pro Shops is a doggie Disneyland. They can explore the entire store as long as they’re on a leash. This year’s BransonRec Plex doggie dive-in is scheduled for September 5 from 6 p.m.–7:30 p.m. Let them jump off the diving board or play fetch in the water. The price is $8 for one dog and human and $2 each additional human. Fifteen rooms are reserved as Fido-friendly at this Table Rock Lake resort. Dogs must weigh less than 25 pounds, and there is a $40 one-time fee. Pets are required to be in kennels if left in the room alone. This is one of the few places dogs can run in total freedom (okay, minus the fence). With six acres divided between large and small dogs, the park has plenty of space for dogs to play and socialize. Annual registration fee is $25. Daily passes are available. Proof of vaccination is required. You can take your dogs on the trail with you to enjoy the gorgeous scenery and waterfalls. It’s just an additional $4 per pup to take them along for the fun. John Knox’s dog chased a critter into this undiscovered cavern in 1862. Knox not only found the dog, he found what would one day become America’s only ride-through cave. As a nod to this canine-explorer, people-friendly pets (on leashes) are allowed on this underground tour. No local dog’s life would be complete without a dip in a local lake or stream. But certain dog breeds struggle with swimming. “Bulldogs sink like a stone because their torsos are so heavy,” says K-9 Concepts of Southwest Missouri Owner Jim Dorris. Other dogs, like labs, get so excited they will swim themselves into exhaustion. All Pet Supplies sells doggie life jackets, and pets are welcome inside the store. Find locations at allpetsupply.net. Dogs will love this annual event featuring pet contests, pet adoptions, puppy play areas and pet-related vendors. Live music and food trucks are on-hand for the humans. A special “mutt march” raises money to help homeless pets. It happens in May, so keep an eye out for next year’s event. Dogs are welcome to join you on any of the National Tiger Sanctuary’s three walking tours. See lions, tigers, leopards and mountain lions. Two rows of three-foot-high fencing will keep your pup from chasing these cats. Still, a dog can dream. 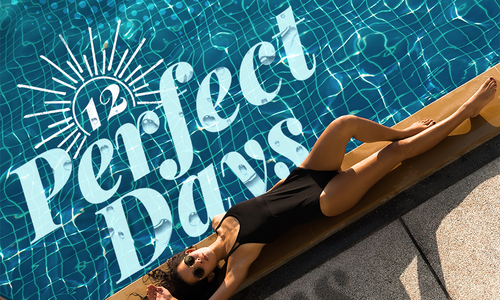 Canine belly-flops and cannonballs are all part of this fun way to close pool season. Doggie dive-in is on Labor Day, September 5, from 3:30 p.m. to 5 p.m. Dogs are free; people are $2 each. There are 68 miles of exploring for you and your pet on the Ozark Greenway Trails. Access points are practically everywhere. Paths include bridges, creeks and parks connecting 417-land peeps and their pets. You can find trail maps online. Let the pets pick out their treats, food and collars thanks to these animal-friendly stores. Just for kicks, walk your bird dog down the parakeet aisle. Or let your kitty look at the fish. All in good fun. Dress up the dog (and the kids) for a Halloween parade. Games, food, music and a costume contest are part of this event. Thousands of people attend, raising money for pet and children’s charities. Check the website in fall for the 2016 date. At this annual dog fest at the end of September, there are demonstrations, more than 40 booths and a silent auction. All proceeds from this event benefit developing an off-leash dog park. Dogs must be friendly, leashed and under an owner’s control at all times. The annual dog swim signals the end of pool season. This year’s event is held September 6 from 4 to 7 p.m. Cost is $8 for one dog and human and $3 each additional human. Proof of vaccination is required. Proceeds benefit Cruse Dog Park. Your reliable and professional go-to resource for in-home pet sitting, dog walking, home services, equine care and more. In addition to being a one-stop-shop for all of your pet care needs, this store offers grooming services. Whether your pet is there for doggie day care or for overnight boarding, this spot offers tons of playtime in a camp-like environment. Leave your pups here, so they can enjoy an outdoor play area and private rooms with TVs while you are out of town. Need your groomer to come to you? Fluffy Puppy is a mobile pet grooming service that offers baths, haircuts, nail trimming, ear cleaning and more. There’s a pet cam, so you can view your furry friends enjoying lots of play during their stay. Be sure to ask for grooming while they are there. 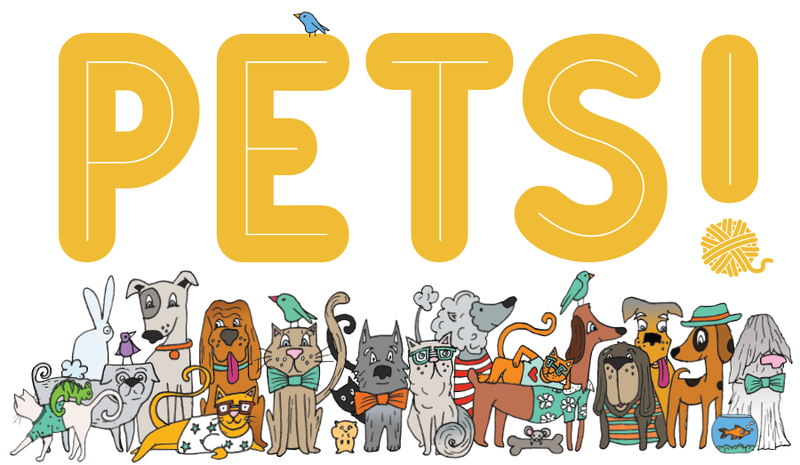 Get everything your feathered or furry family members need at one of the local Petsway locations, whether you’re there to fill up on food or find the perfect toy. In addition to training your pooch, this spot also offers kennel and pet grooming services. So your pet can be both obedient and handsome. This spot will take on just about any problem that just about any dog breed might have, so you can have that perfect pup you’ve been dreaming of. Here in 417-land, there are numerous ways to capture that cute, furry face in a photo or on a canvas. One day a month is all about animal art at RSVPaint. Send in a high-quality picture, and artists will pre-sketch it onto a 16-by-20 canvas. Then you learn to paint fur textures and that perfect pet nose. April Turner captures amazing images of beloved pets in her Marshfield studio or on location at your preference. She encourages animal families to be part of the sessions to capture the memories of being together. Marla Rush Parnell’s Weimaraner painting recently won first place in the Pastel National 2016 juried exhibition. She offers her talent for commissioned paintings. Parnell usually has a photo session first to capture the image to be painted. But you can also provide your own favorite photo. Have fun dressing up with your pet in your choice of a Western, 1920s or Victorian theme. Packages start at $23.95 for up to six people; call to check for current special pricing. A lost pet is a lost family member. 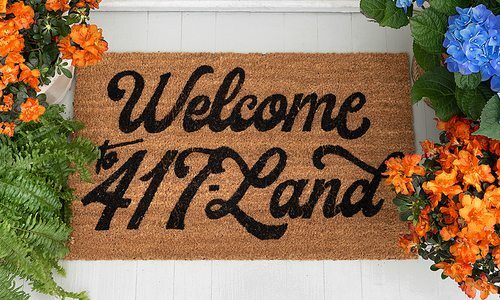 Fortunately, 417-land has multiple resources to reunite missing furbabies and their frantic family members. 1. Have current pictures. It’s vital to have pictures to post online. 2. Microchip your pet. The importance of microchipping cannot be overstated. For around $25 veterinarians (or the Humane Society) will insert a chip with your contact information. 3. Register your microchip and keep the information updated. The microchip does no good if it leads to outdated contact information. 1. Post your pet’s picture and information on the Leigh’s Lost & Found Facebook page. Started by KSPR News Anchor Leigh Moody, this page has facilitated thousands of reunions. 2. Send your pet’s picture and information to KTTS Pet Finder to the email pets@ktts.com to be posted on their website. 3. Check your local animal control. Springfield–Greene County Animal Control has a gallery of pet pictures. There’s also a lost pet form online. 4. Call the Humane Society of Southwest Missouri (417-833-2526) with your pet’s information, and check back often. 5. 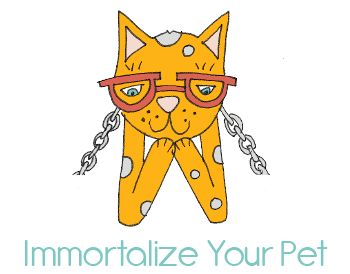 Go old-school and make some posters to put up around the area where your pet went missing. 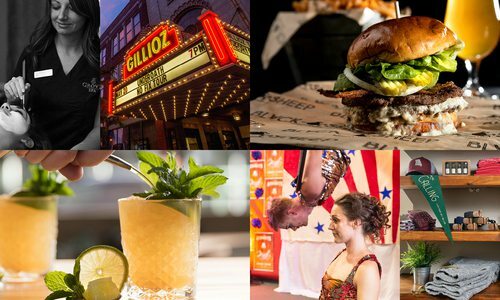 Pooch-friendly restaurants abound in 417-land. 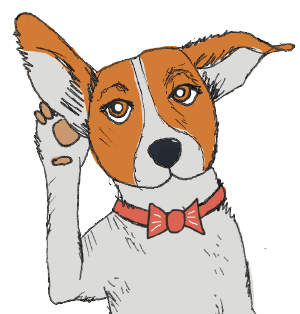 Find out where you can eat with Fido. Feed your pup a free sample cone and witness a new doggie addiction. Their Farmer’s Park location has a pet-friendly patio. Homemade dog treats are $5 a bag. 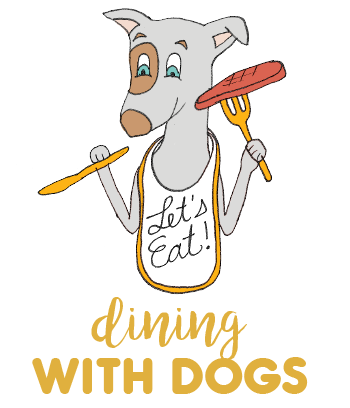 Pooch patio dining is available at both Bambino’s locations. You and the dogs can both unwind on the pet-friendly patio at this Park Central spot. Enjoy Park Central Square while sipping your favorite cup of coffee with your favorite furball. This uber-pet-friendly spot has a great patio area outdoors and treats available if you ask. Dogs can enjoy lunch with you on the patio of any local McAlister’s. Dogs are served water and Milkbone treats while dining on the patio with their human guests. Dogs are welcome to dine on the patio with you at this barbecue hotspot. Enjoy the Branson Landing fountains with your pooch on the patio of this popular steakhouse.